While some of the writing on the matchup has been way too hyperbolic (USA Today’s “the big lead” declared the fight will either “save or destroy boxing for years to come,” a tired boxing trope that has been said about pretty much every big fight of the past 15 years and will likely be repeated should the Anthony Joshua-Deontay Wilder fight come to fruition, which seems very likely), this is in fact a great thing for boxing. The alternative opponents being floated for Alvarez (such as Daniel Jacobs or Spike O’Sullivan) would never capture the imagination of the public the way a rematch with “GGG” will, and with Mexico having two big fight weekends a year, should these negotiations have fallen through a Canelo-GGG rematch would have likely been pushed to May 5, a full 20 months after their first matchup ended in a draw. 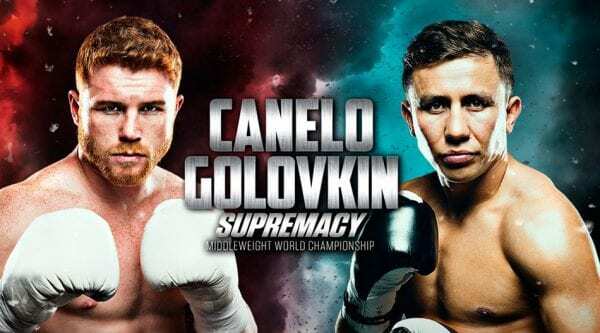 Although most people think Golovkin should have been given the decision in their first matchup, the fact that slick boxers tend to win rematches over power punchers and that Golovkin gets further from his prime with every passing day, make this fight very intriguing. Either way, we’ll get to see what happens on Sept. 15, and for that we should all be grateful. GENNADY “GGG” Golovkin (37-0-1) and Saul “Canelo” Alvarez (49-1-2) fought out an incredible split decision draw in Las Vegas. The two put on one hell of a show for an adoring crowd as fight fans marvelled at the incredible skill, strength and resilience shown by both men. In the end the three judges couldn’t split the two middleweights as the boxing icons shared the spoils. One official scored the tense battle 114-114, another saw it 115-113 for Golovkin but the third had it 118-110 for Alvarez. The decision sees Golovkin retain his three world middleweight titles. The 35-year-old, making his Las Vegas debut, keeps hold of the World Boxing Council, World Boxing Association and International Boxing Federation belts. Both fighters said they wanted a rematch.